After the This Is Us season three mid-season finale, fans are probably dying to know what happens next. Well, Logan Shroyer, the actor who portrays teen Kevin, recently opened up to TVLine about how fans can figure out exactly what happens when This Is Us season three returns. 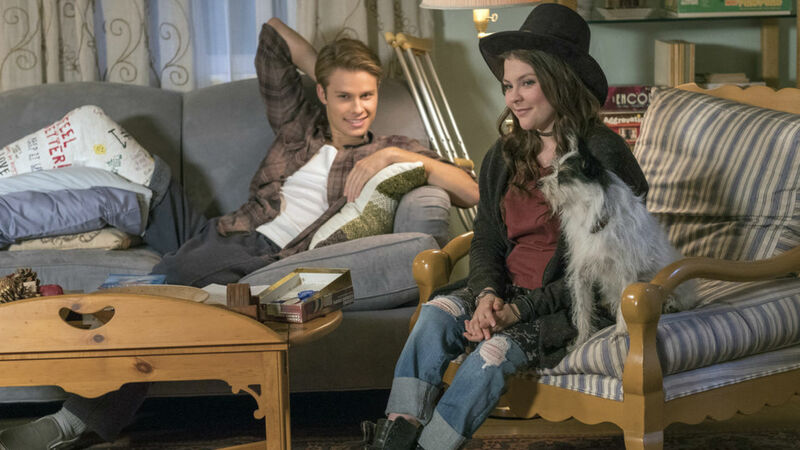 For those who need more information, Shroyer says there is one simple way to figure out what lies ahead for Kevin, Kate and Randall — re-watch the show and pay attention to all the details, even the small things. Warning: There are spoilers ahead about the This Is Us season three mid-season finale. It’s really no surprise that everything in the NBC drama is meaningful and is done on purpose. Heck, even the actors and the creator, Dan Fogelman, already know how This Is Us will end. If you weren’t aware, they’ve already filmed part of the series finale. Yes, that’s how well thought out this show is. “We have a story to tell and we want to do this the right way,” Fogelman said in May during the series’ For Your Consideration panel, while also confirming portions of the drama’s conclusion have already been shot. So when viewers learned that Jack’s previously believed-dead younger brother Nicky is actually alive during the season three mid-season finale, yeah, that’s not going to be taken lightly. There is a reason Nicky Pearson really didn’t die in the Vietnam War like Jack originally said. And as for Randall and Beth’s current rocky marriage, Kate and Toby’s potential as parents, Kevin and Zoe’s love life, the possibility of Kevin finding his Uncle Nicky and Rebecca’s status in the future timeline, how all those storylines end up remains to be seen. Of course, no one is dishing too heavily on it, either. But, if fans have the time and are dedicated, all they have to do is watch the episodes again and analyze the scenes, according to Shroyer. Really, how hard can that be? If you ask us, re-watching This Is Us, a fantastic series, is far from any kind of punishment.